Before Superblue’s career took on new life in 2018 with the Machel Montano collaboration Soca Kingdom, he had pretty much given up on singing. He was on his way to a panyard to revisit his roots as a pannist when Tony Chow Lin On aka Chinese Laundry, called him to work his magic on the song. “I was done. I had thrown in the sponge for the season,” said Superblue. Fate, however, had another chapter written for Blue, real name, Austin Lyons. And if that chapter had a title, it would be called Full Circle. It could also be titled “Resurgent" given the fact that five years after his last big song, Fantastic Friday, he stormed back into the spotlight to grab his 10th Road March. 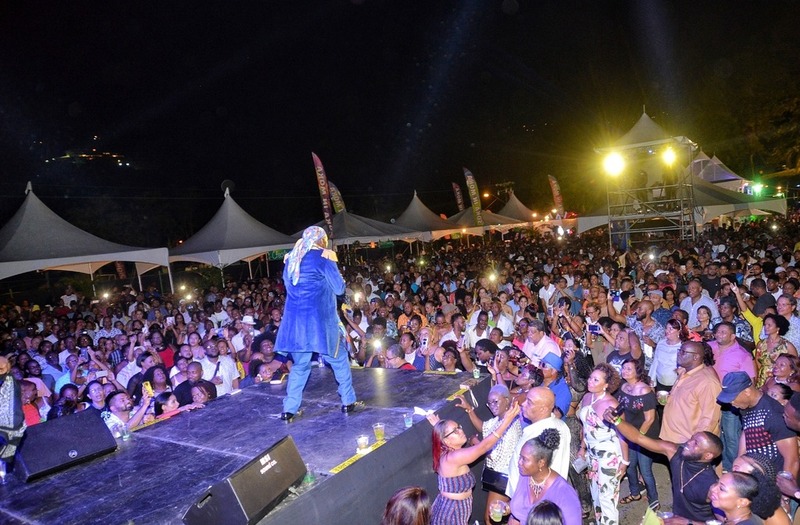 That song proved to be a false start and his career was spent idling until Soca Kingdom which allowed him to spend all of 2018 touring the world with Machel. But if one takes a step back and look at the people involved in Superblue’s career and music this season, it becomes clear that the dots connect in one big circle. Superblue, 62, is currently managed by Chow Lin On, nephew of the late Ellis Chow Lin On, co-manager of Shadow’s tent, the Master’s Den. 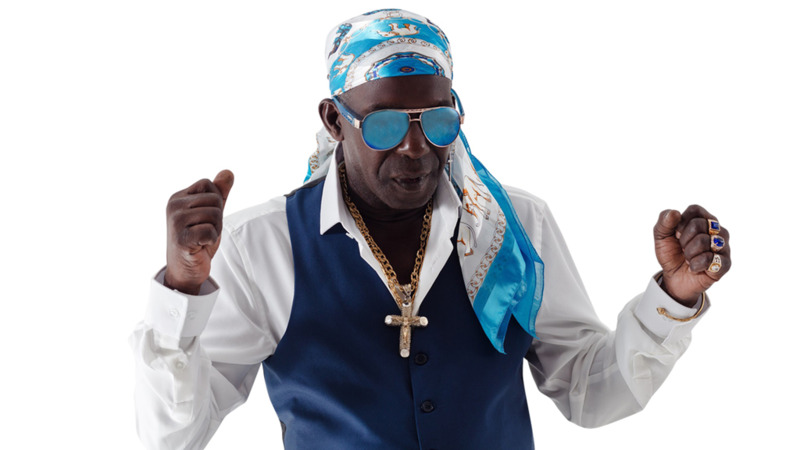 That was the first tent where Superblue, known then as Blue Boy, got his break with his controversial debut song ‘Soca Baptist’ which won the Road March in 1980. ‘Soca Baptist’ was recorded in KH studio in Sealots by Pelham Goddard, the arranger for Exodus steelband which will be playing Superblue’s first 2019 release, ‘Rag Storm’, as their Panorama selection. ‘Soca Baptist’ was produced in Brooklyn by Charlie Rawlston, founder of Charlie Roots, whose studio on Fulton Avenue in Brooklyn, New York, was THE place for the manufacturing of soca and calypso records in those days. Romie’s Records financed the project. It’s the same Rawlston’s Recording Studio that Machel recorded part of his new “collab" with Blue called ‘We Now Start to Party’. “Now we hook up as young Chow Lin On/Superblue making music now. But now there are so many connections we see. For example, Young Machel Montano as a kid was also recording with Pelham, Dr Carnival album and stuff. Super wrote songs on that project for Machel and then it come back again and Machel, myself and Super, went back to Charlie’s studio last year, set up shop, set up camp and started recording. “When you walk in there, there is this mighty, regal feeling that this is the place where we belong, my DNA, his DNA, Machel DNA, in that place,” said Chow Lin On during an interview with Superblue at the offices of Trinidad and Tobago Radio Network (TTRN) on Tragarete Road in Port-of-Spain. Chow Lin On is the owner of TTRN which houses 96.1, 107.7 and Star Radio 94.7. “He brought something to the table I couldn’t refuse it, God go vex with me,” said Superblue of his relationship with Chow Lin On and the opportunities open to him now. “Sometimes you pray for something and say God I want this, I want that. From since a few years ago, I start to pray for help to recognise it,” he said. 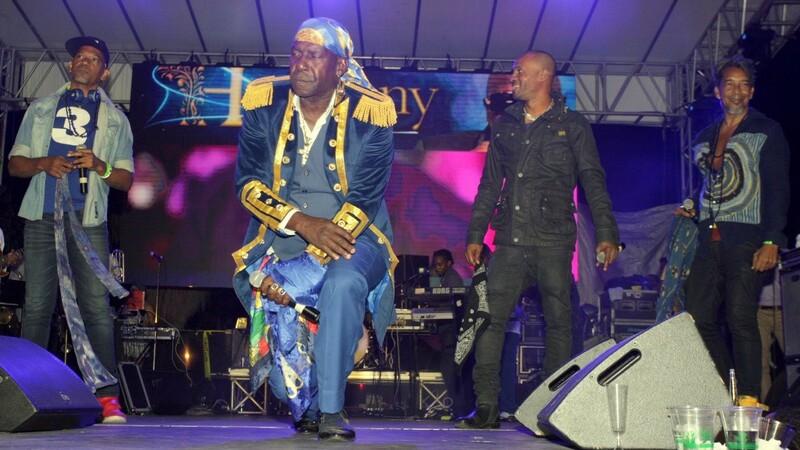 Looking back at the past year, experiencing the kind of heights he would have had in the 90s when he owned the soca-sphere with songs such as ‘Flag Party’ and ‘Bacchanal Time’, Superblue said it revamped a feeling that was lying dormant. “The level of shows, it revamp something in me, I say I missed this,” he said. 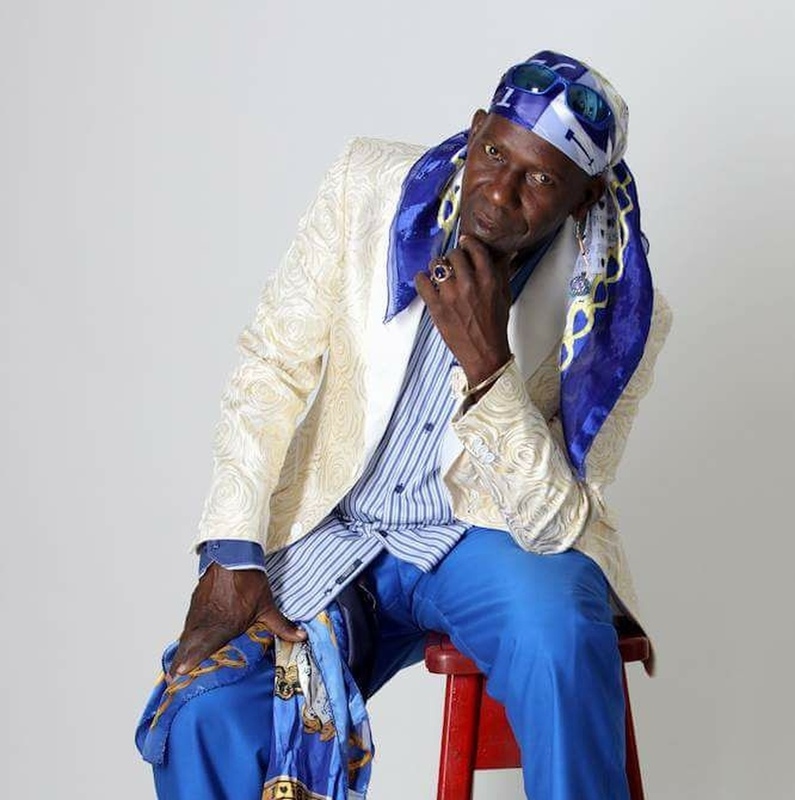 Recalling the years when he dominated Calypso Fiesta in Skinner Park, San Fernando, Super said when he wrote ‘Rag Storm’ he was thinking about those days. “When I was writing it, I was thinking Kaiso Fiesta, it have something living in that Skinner Park, something about how the people get on, the attitude, the atmosphere, the spirit. The rag is very important in the Carnival just like powder, water, and flags. Is the ambiance, the spirit, is something to do,” he said stamping his feet and waving an imaginary rag. Growing up in Techier Village, Point Fortin, a Borough which has given us Road March winners such as Iwer George, Naya George, and Preacher, Superblue was drawn to music from an early age but not as a singer. Pan was his first love. Around the age of nine, he heard his neighbour Russell Stafford playing a calypso from Composer on what he called a ‘tin cup’. Intrigued, he started collecting tin pans and teaching himself to play until around the age of 13 when he graduated to playing big pans with the then Dunlop Steelband. “At 16, I was playing national finals with Dunlop in San Fernando and town and then I opened my own band called Apple Stars,” Superblue recalled. He said back in those days he used to mind pigs and he couldn’t afford nice clothes to go parties like his friends who had gone on to secondary school to learn a trade and were working as apprentices with the energy companies. Ashamed, he left Point and decided to take his chances in Port-of-Spain. He found a job on a boat in the docks, the smallest among the seven-member crew that he said were big in size like the rocks in San Fernando. “Everybody on the boat had a nickname. When I approach the boat, the Captain say "wheyyy that man black till he Blue, he is Blueboy?” he said. No matter how much he protested, he said the Captain stuck to the nickname and it became popular in Port-of-Spain. “Everybody was calling me Blue Boy, Blue Boy, Blue Boy. When the boat dock, I used to lime by the bar on Green Corner by Globe cinema, them girls start to call me Blues and I went to see a picture where the star boy name Blues so I just leave it alone,” he said laughing. He said when he went to register for ‘Soca Baptist’, he put his name as Lord Lyons but they wrote down Blue Boy. 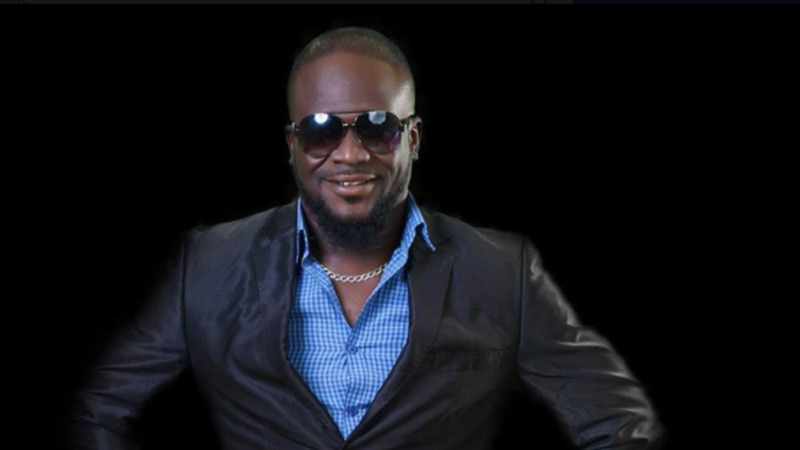 Superblue said the song came to him when he was locked up in quarantine during a trip to St Vincent because he didn’t have his papers to prove he had the yellow fever vaccine. “Listening in a prayer meeting, Baptist people preaching, with a leader in front and people shaking…that is all I reach,” he sang. The year before he recorded ‘Soca Baptist’, Superblue said he begged Merchant to take him to the studio to see the recording process. Pelham sent the song to Charlie who immediately instructed the producer to get Blue into the studio. Charlie asked musician Ed Watson to add in the bells and the claps to enhance the sound. “When I finish the track I called Sparrow. I said I have a song here, it is a hit, put this boy in your tent. He said hmmm I eh know. I say ok I have to move on, forget about him. Jazzy Pantin, the manager of Kitchener’s tent came up and I said come I have something here. I played it and he laughed and said ‘you making joke’ and walked out the store,” Charlie recounted when Loop contacted him. 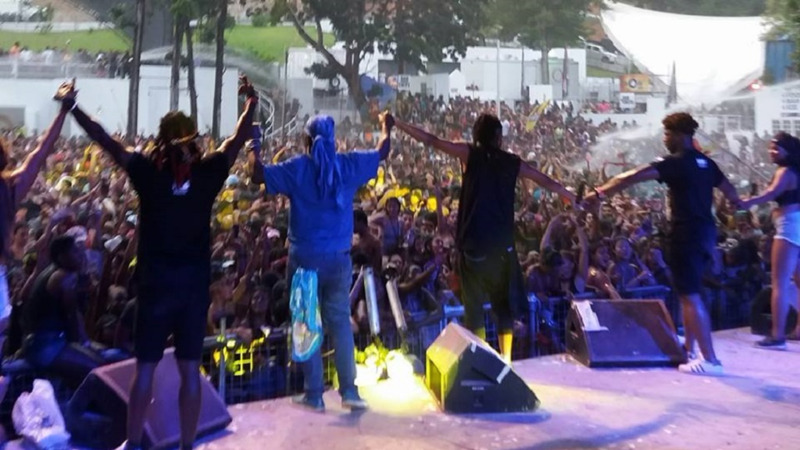 Reflecting on Superblue’s soca rebirth, Charlie said he is specially blessed. “Blueboy been through some trials but basically I believed when I heard ‘Soca Baptist’ that this guy, if he write this song, he has many, many years ahead of him and the reason why he is still there now is because of his talent. He is specially blessed. “Words cannot explain how I feel about this guy. I couldn’t feel more proud for this guy and what he has done. Tony has a good head for business, he has himself in the right hands.